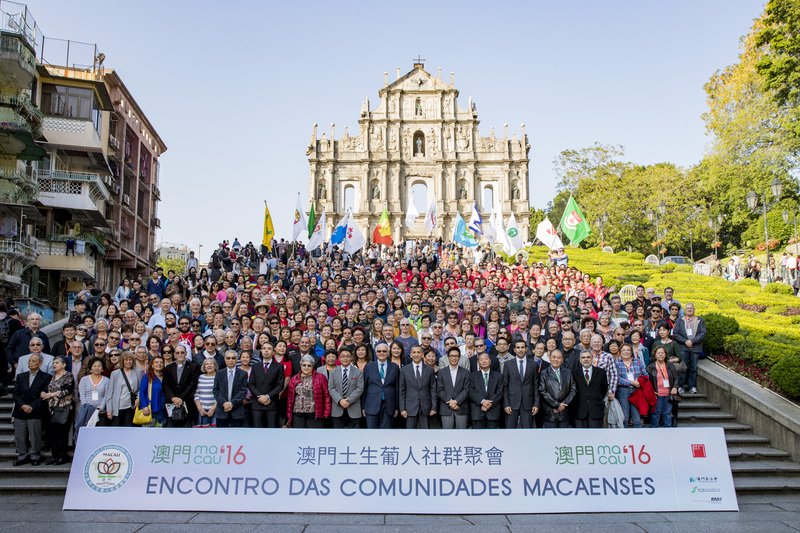 First held in 1993, the Encontro das Comunidades Macaenses took place this year in Macau from November 26 to December 2, 2016. At this year’s event (the 9th since its inception), there were approximately 850 participants from the Macanese Diaspora with the largest contingency of 199 members from the Lusitano Club of California along with approximately 700 locals. Sponsored by the Macau SAR (Special Administrative Region) the event’s purpose is to bring together the Macanese people from around the world in a week filled with festivities. Apart from the customary opening and closing banquet ceremonies, this year’s event included several very informative seminars and an overnight bus trip to Guangzhou (formerly Canton). Following the events in Macau, over 100 Lusitano members made the Pearl River Delta crossing to Hong Kong for an extended stay at the YMCA Tsim Sha Tsui, and also to attend a Cha Gordo at Clube Lusitano Hong Kong. Prior to leaving Macau it was announced the next Encontro will be held during the last week of November 2019. It is projected that by the 2019 Encontro, participants will be able to drive from the Hong Kong International Airport directly to Macau over the new Hong Kong – Macau bridge. They will also be able to ride on the elevated metro subway systems in Macau scheduled for completion by then. As they say in Portuguese “ATE A VISTA”.